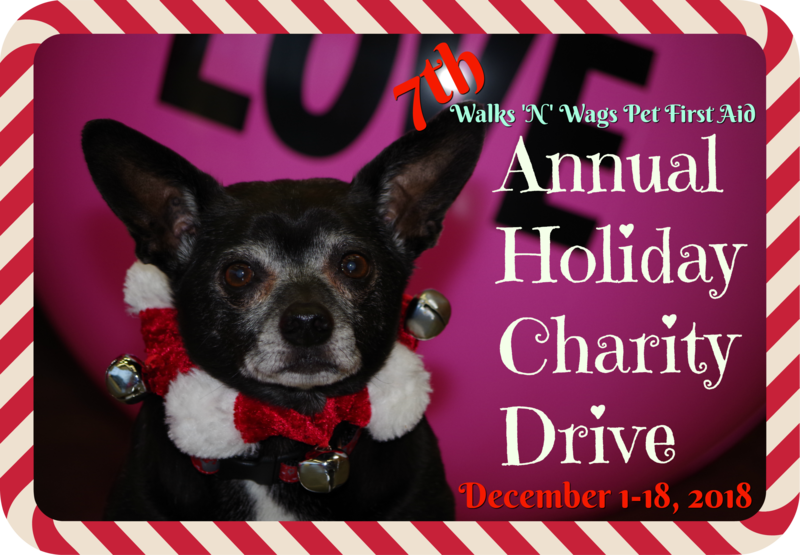 Walks ‘N’ Wags Pet First Aid and our family of Instructors is pleased to announce our 7th Annual Holiday Charity Drive from December 1-18, 2018. 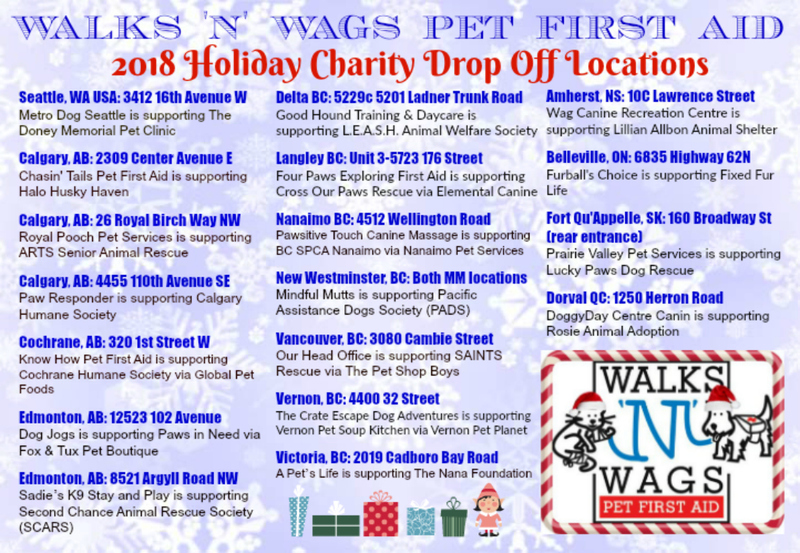 Drop off your new and gently used pet items at any of the 18 drop off locations below in Canada and Seattle WA. We thank you in advance for your consideration and support of animals in need. Let’s help make this an amazing season for pets in need.